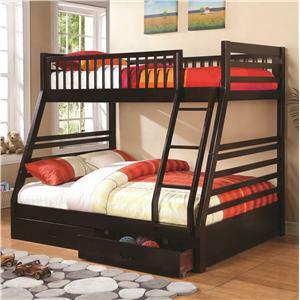 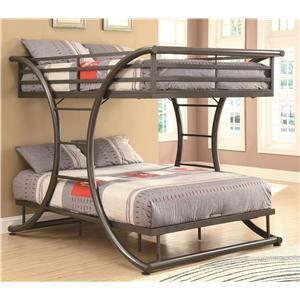 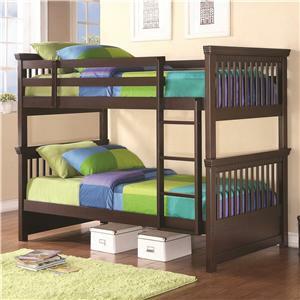 Give your child a comfortable, enjoyable, and functional bedroom space with this Twin-over-Full Bunk Bed. 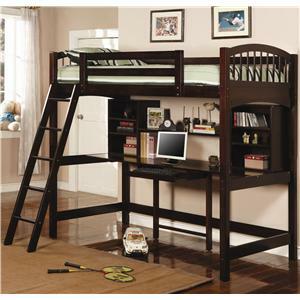 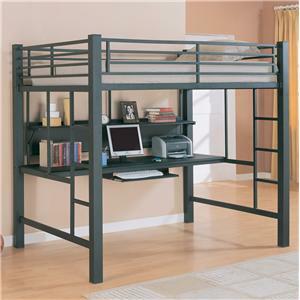 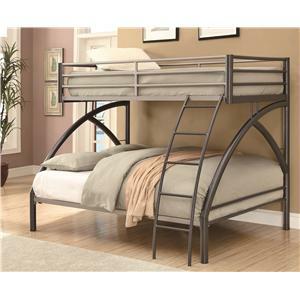 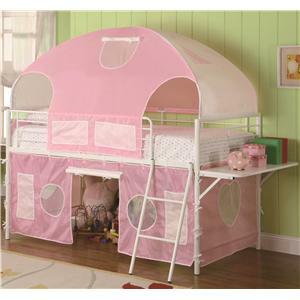 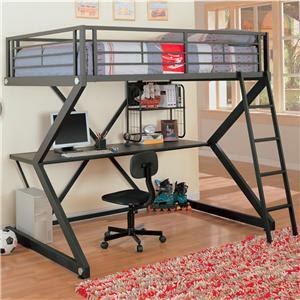 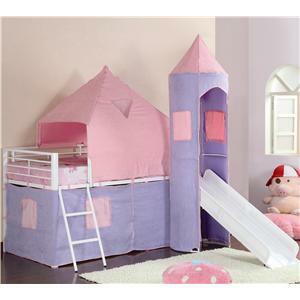 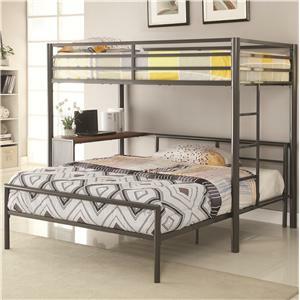 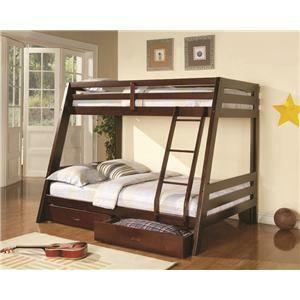 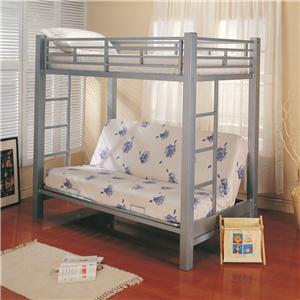 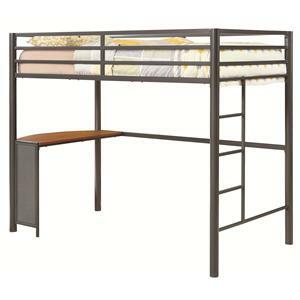 This piece includes an attached ladder and safety rails on the top bunk, so your child will sleep safe and sound. 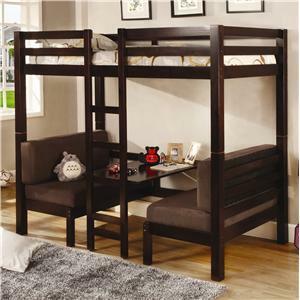 Down below, you'll find two drawers, perfect for storing extra blankets, pillows, or toys. 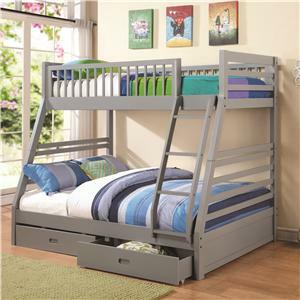 Since this bunk bed has space for a full sized bed below and a twin sized bed on top, it can be used for kids of all sizes! 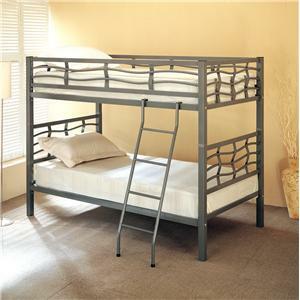 This item is available in a variety of finishes. 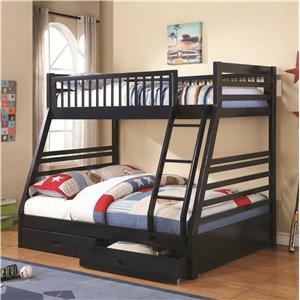 The Bunks Twin over Full Bunk Bed with 2 Drawers and Attached Ladder by Coaster is available in the area from FMG - Local Home Furnishing. 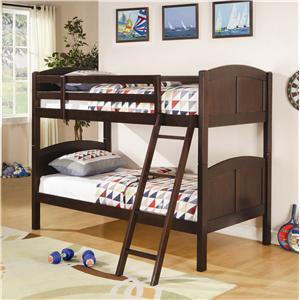 460181B3 Twin over Full Bunk Bed Box 3 1 0" 0" 0"
460181B2 Twin over Full Bunk Bed Box 2 1 0" 0" 0"
460181B1 Twin over Full Bunk Bed Box 1 1 0" 0" 0"